Dr Guo is a renowned dermatologist who graduated from Medical School at Jilin University and went on to complete qualifications in the diagnosis and treatment of skin cancer from the University of Queensland Medical School in Australia. She also has completed training in the United States, Germany and Korea for cosmetic dermatology. 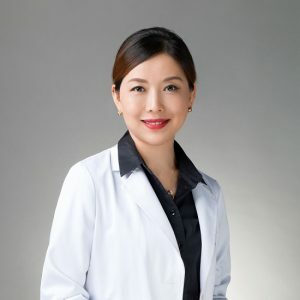 Dr.Guo has reached the highest standard of practice in both skin disease management and aesthetic dermatology after almost 20 years of clinical experience, which includes 10 years of working in Shanghai United Family Hospital and Clinics. She was the former Head of Dermatology at Shanghai United Family Hospital and Clinics. She is a member of several international associations such as the Dermatologic & Aesthetic Surgery International League and the American Society For Laser Medicine & Surgery. Dr. Guo often takes part in international summits and conferences where she shares her expertise.